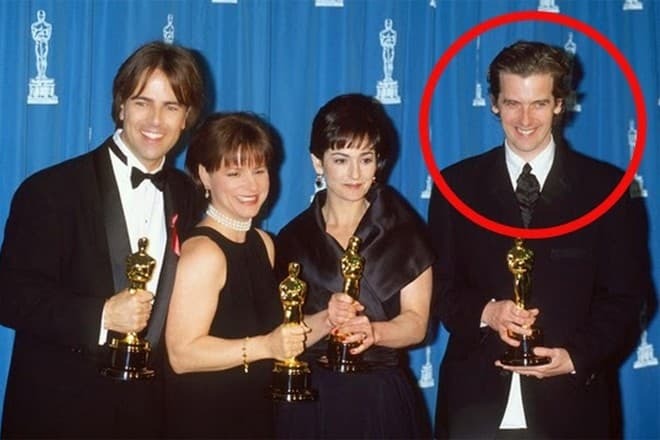 Scottish actor Peter Capaldi during his long career has starred in a hundred films and even received an Oscar for directing. His face is recognized around the world primarily thanks to the legendary British series Doctor Who. Since childhood, Peter was a fan of the show, the first series of which was released in 1963. At the age of 55, Capaldi played the Twelfth Doctor, becoming the oldest actor to perform this role in the revived series. 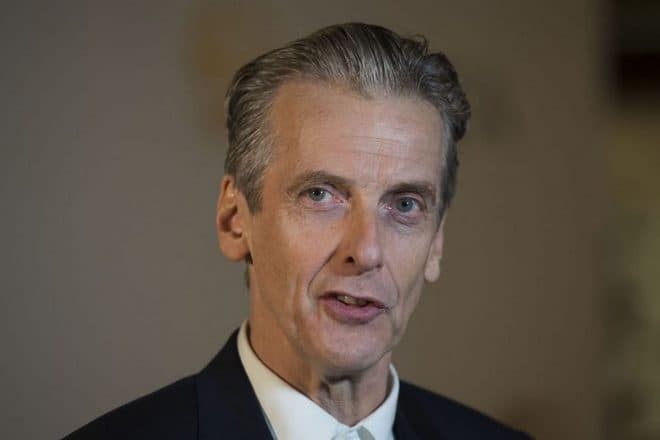 Peter Dougan Capaldi comes from the Scottish city of Glasgow. The actor was born in 1958 to Nancy (née Soutar) and Gerald John Capaldi, who lived in a residential area and engaged in small business. The couple owned a van for selling Gelato – a cold Italian dessert. Peter's father is from Central Italy, and his mother is from the Irish County of Cavan. The couple had three children. On the same street lived the closest relatives - grandmothers, aunts, and uncles, so the boy grew up in the atmosphere of a big friendly family. Family encouraged all of his creative endeavors. First, the actor studied at St Teresa's Primary School in Possilpark, then at St Matthew's Primary School in Bishopbriggs, and St Ninian's High School, Kirkintilloch. 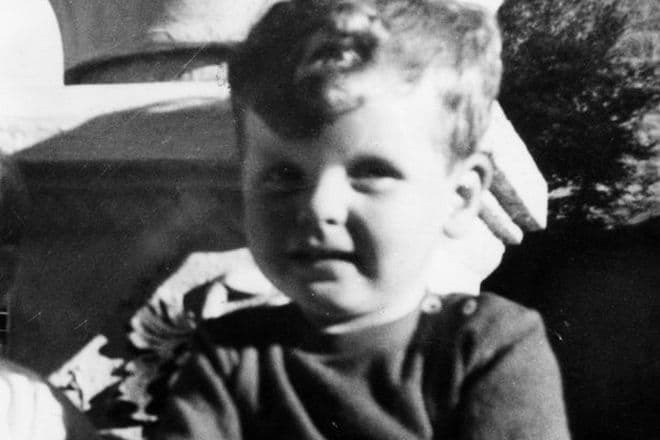 From early childhood, Peter was eccentric and dreamed of an outstanding life. He thought he would be a rock star, an artist or a director, but he would never blend in with the crowd. Capaldi's childhood passion was a fantastic series Doctor Who, which was broadcast on the BBC channel and was dedicated to a Lord of Time, traveling in spaces and eras. The boy enthusiastically watched his adventures and often wrote letters to the TV channel. In 1972, a package came for him, in which lay the script of the future episode and a letter from the producer. So the creators of the project performed a miracle in the life of the young fan. In 1974, Peter founded a fan club of the series in Bishopbriggs, the town where his school was located. However, the club consisted only of two people, but the couple proudly walked around in long scarves, imitating the Doctor. By that time the guy became interested in the theater and performed in an amateur team The Antonine Players. In 1976, the young man began studying at the Glasgow School of Art. Here he developed acting skills and became a member of The Dreamboys band as a singer and guitarist. 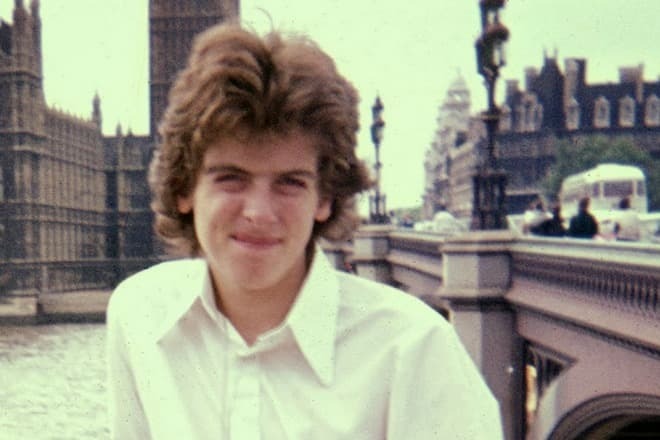 In his teenage years, Capaldi tried himself in stand-up shows as a comedian. After graduating from College, Peter moved to London to study at a drama school, but could not get in. 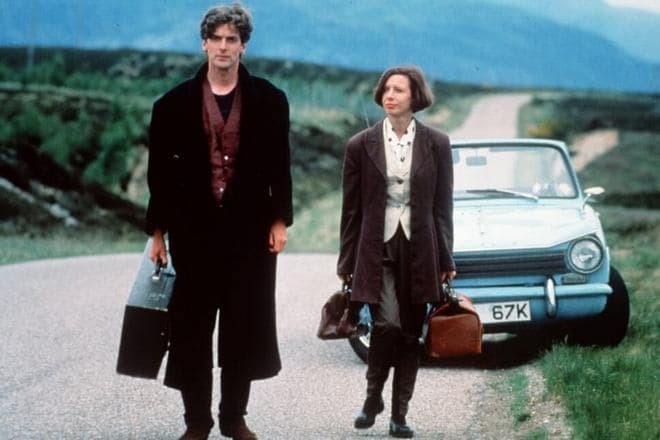 The acting biography of Capaldi began in 1982 with the film Living Apart Together, and the first notable role the artist got was in the movie directed by Bill Forsyth, Local Hero. Almost for a decade, nothing significant happened in the creative life of Peter: the man played cameo roles in television series, at the same time performing in the theater. In 1992, the actor played the leading role in the film Soft Top, Hard Shoulder to which he wrote the script himself, including some stories from his personal life. His wife Elaine Collins also starred in the movie. A year later, Peter would create a short film Franz Kafka's It's a Wonderful Life, on which he would work as a screenwriter and director. The 23-minute story about the struggles of the Austrian genius would bring the author a resounding success: first, he would earn recognition of the British Academy, and in 1995 he would receive an Oscar. 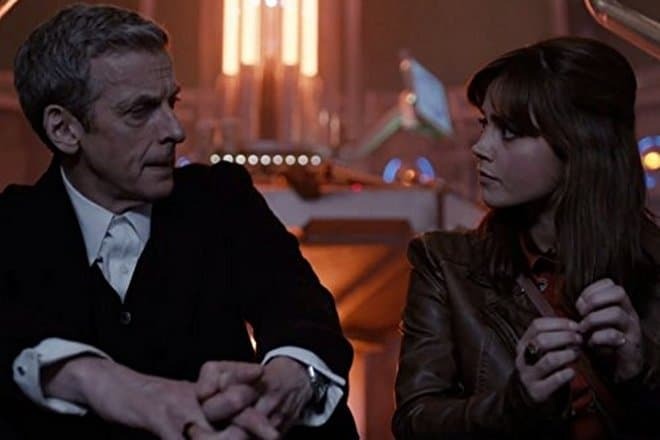 At first, inspired Americans offered Capaldi to work together further, but soon changed their minds, and in the life of the creator came a period of apathy and uncertainty. However, he continued to work and in 2001, filmed a motion picture Strictly Sinatra, but that brought neither fame nor money. The project The Thick of It revealed the actor's talent. 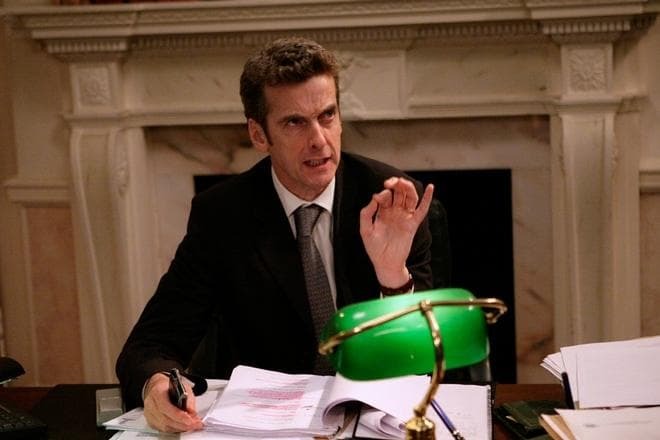 The series about the everyday life of British politics lasted four seasons, and the character of the swearer Malcolm Tucker turned out to be almost the most memorable and charismatic. In 2010, Peter received the prestigious BAFTA award for best comedian for performing this part. 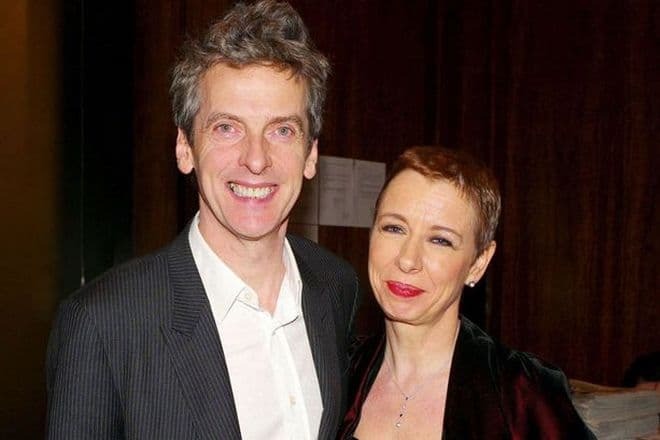 In 2013, an event took place that is difficult to overestimate: Peter Capaldi's filmography was updated with the legendary series Doctor Who. He was invited to play the role of the twelfth Lord of Time. By this time the revived project had gained immense popularity and had a multimillion army of fans. Jenna Coleman played the companion of the Twelfth Doctor. "I don't remember 'Doctor Who' not being part of my life, and it became a part of growing up, along with The Beatles, National Health spectacles, and fog. And it runs deep. It's in my DNA," -that is how Peter describes the significance of the project for him personally. Capaldi starred in three seasons of the series, leaving it in 2017 and finally gaining worldwide recognition. He appeared as a Doctor in the American apocalyptic action horror film World War Z, released in 2013. At the same time, Peter was involved in another high-profile Hollywood project, dark fantasy film Maleficent, but the scenes with the actor were cut from the final version of the film. Peter Capaldi is an Aries and, as it is typical for this zodiac sign, he is a strong, impulsive and flamboyant person. At the same time, he is a monogamous and loyal family man. He has not parted with his wife Elaine Collins since 1986. The actors met in the theater, where they worked together on the play Songs for Stray Cats and Other Living Creatures. At first, the young people were just friends, but soon they realized that they could not live without each other. For five years, the lovers lived in a London flat with a big dog Coco and did not want to rush their marriage. In 1991, the couple made their relationship official, and in 1993 the family had a daughter Cecily. Elaine started her acting career, acting mainly in television series. But then she decided to change her profession and went to work for the ITV channel, where she became an executive producer. 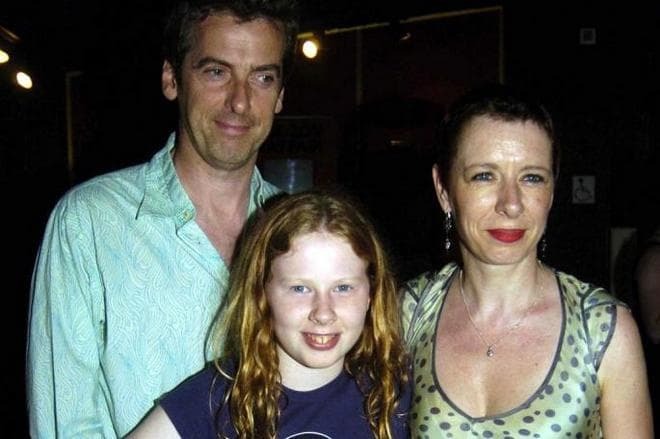 Now the Capaldi family lives in the London suburb of Muswell Hill. The actor's hobby is sketching and drawing. He draws almost daily, practicing on storyboards for movies with pleasure. The man is energetic and fit; he is 6 feet tall. The actor has no official pages on social media, but fans regularly post news from his personal life and fresh photos of Peter on the fan accounts on Instagram. Peter Capaldi has a net worth of $10 million. After finishing his work on Doctor Who, Peter currently primarily gets involved in the production of animated films. In December 2018, came out the mini-series Watership Down, a cartoon adaptation of the famous novel by Richard George Adams. In the story of the rabbits, the actor voices a Seagull named Kehaar. In 2019, The Personal History of David Copperfield, based on the novel by Charles Dickens is going to be released. Director Armando Giovanni Iannucci invited Peter for the role of Mr. Micawber - an incurable optimist and a total loser. Previously, the actor starred in Armando's project in the series The Thick of It.